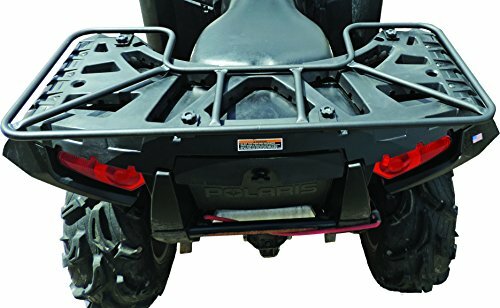 Polaris Sportsman Rear Rack. Drops on the plastic deck of your 2006 through 2017 Polaris Sportsman and installs with no tools using provided twist lock anchors. Fits all model except X2. Plenty of places to tie things down..Includes tool less bed anchors for attaching to bed. All Steel welded and powder coated. If you have any questions about this product by Hornet Outdoors, contact us by completing and submitting the form below. If you are looking for a specif part number, please include it with your message.